As editor of GolfGurls and co-producer of the GettingGolfReadyProgram, Pat is eager to share what she’s learned about golf and life on the links. 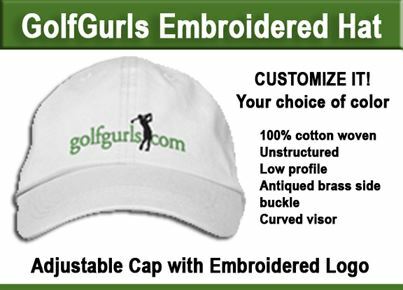 If you are a beginning golfer, golfgurls.com is filled with helpful tips and information to get you started with the game. If you’ve been playing for years, you can find great information about changes in the game, new equipment and new fashions to keep you looking and playing your best. Pat’s backstory: “The first time I ever tried golf was at a corporate outing where I was paired with three other non-golfers. We had one hysterical time and came in dead last. It was a total hoot and thoroughly enjoyable, and even though it was a disastrous round, I was hooked on golf. “I was lucky enough to find a local public golf course here on the Cape, Old Barnstable Fairgrounds, that was holding free morning clinics for women who were just beginning to learn the game. Merry Holway, the club pro, was a great teacher and each week before sending us newbies off the back nine, she would give us a short lesson in one facet of the game. After a year of clinics, I moved up to join the ladies league and have played with them ever since. HI there. Fairly new to golf (year 4) and a leftie player. I need new clubs and want to demo a set before buying. 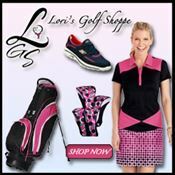 BIG PROBLEM – no store carries a demo set of Ladies Left Handed clubs. If you order on line, you can only return if “unused.” Makes no sense whatsoever. Can anyone help? When creating a survey, please tell us whether 1 is high or low!! I chose it as low when I took the survey so I ranked items as 1 if they weere least important. I used some of your info some years ago and am excited to see how far your web site has progressed! Thanks for continuing to contact me.